Kingdom Hearts fans all over, rejoice! The previously U.S. exclusive compilation Kingdom Hearts: The Story So Far will be journeying to European, Latin American, and Canadian stores later in March 2019. In addition, the U.S. will be getting a restock. Canada and Latin America will be getting the collection on March 15, 2019, while Europeans have to wait longer for a March 29th release. As for people in the U.S., you should be able to find it now. 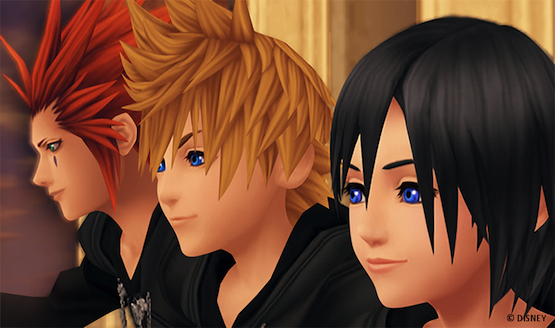 The Story So Far includes all the important Kingdom Hearts titles, except for III. These are the games included. Three of these games, 358/2 Days, Re: Coded, and X, are in movie form with cutscenes, rather than gameplay. Kingdom Hearts III is the dramatic ending to the Dark Seeker saga, which encompasses Xehanort’s dark and elaborate plans for more than a decade. However, more content is on the way for Kingdom Hearts III, with DLC approaching later in 2019 supposedly. Perhaps this DLC will explain a few of the plot points in further detail. Series director Tetsuya Nomura has said recently to Dengeki, “For paid DLC, we want to combine a lot of things and release at once.” This might be in the vain of a Final Mix-like release, which for the first two games added secret bosses and a more difficult Critical Mode. Perhaps more details about the future of Kingdom Hearts will be given at this year’s D23 Expo, Disney’s bi-annual conference in August 2019, or as early as E3 2019. For now, you can play through all of the Keyblader wielders’ adventures on PS4 with The Story So Far and Kingdom Hearts III.